New Melones Lake, one of the largest man-made lakes in California, remains a secret playground –an undiscovered garden in the Sierra foothills near charming Gold Rush Towns: Angels Camp, Columbia and Sonora. Known for great fishing, camping and houseboating, it’s also a place to hike and learn. The U.S. Bureau of Reclamation, which operates the reservoir on the Stanislaus River, just announced its spring interpretive Speaker and Hike Series. Activities are free and suitable for all ages. Best of all, most activities don’t require reservations so you can just show up. Wear sturdy shoes, bring a hat and lots of water. Plan to spend the night. There are plenty of campsites. Ranger Casey will discuss the impact invasive species have had in the Mother Lode. Show your stewardship for your public lands and assist with invasive species abatement. Learn how you can be part of the solution. Please contact Ranger Casey for information about this event at 209-536-9094 ext. 233. We will meet at the Equestrian Staging Area off of Peoria Flat Road at 10 a.m. Experience the beauty of New Melones Lake from a unique perspective on this ranger-led paddling tour. 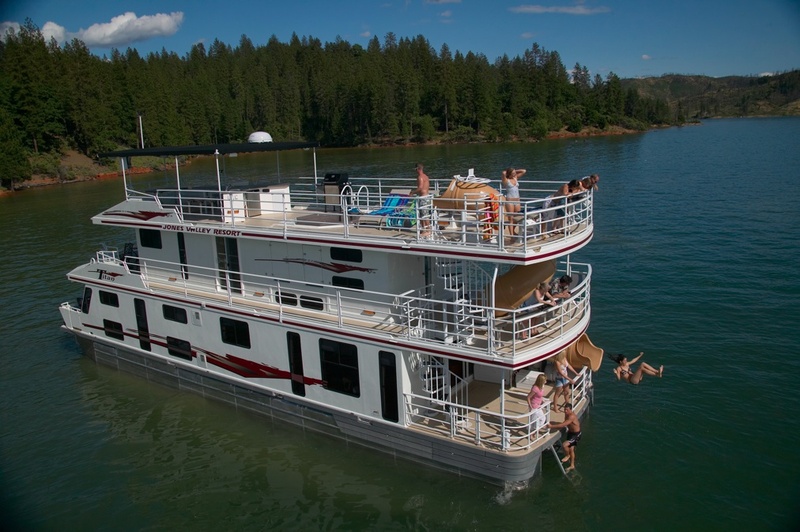 The tour launches from Tuttletown, hugging the shoreline past the campgrounds and up Mormon Creek. 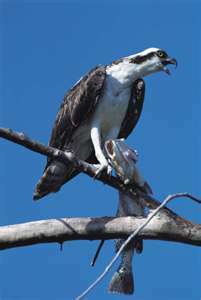 Along the way, look for river otters, bald eagles, osprey and other wildlife. This outing is open to experienced swimmers with their own kayak or other non-motorized boat. Expect to be out on the water 2 to 3 hours. Participants need to bring their boat, U.S. Coast Guard-approved life jackets (properly fitted and serviceable), paddles, sunscreen, hat, water and a lunch. Each child under 18 years of age must be accompanied by an adult. Space is limited, and pre-registration is required. Please contact Ranger Hilary at 209-536-9094 ext. 236 to reserve your place at this event. We will meet at the Tuttletown Entrance Station at 10 a.m. Participants will be given a parking pass for the duration of the event. If you would like to participate in a program and need accommodation, contact Park Ranger Tracy Neal at 209-536-9094, ext. 215, or e-mail tneal@usbr.gov, at least 14 days in advance. The New Melones Visitor Center and Museum is managed by Reclamation’s Central California Area Office. Hours of operation are Wednesday through Sunday, 10 a.m. to 4 p.m., closed Mondays and Tuesdays. 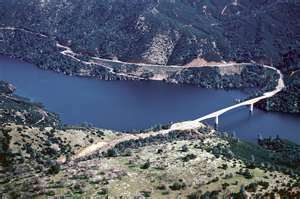 For additional information on activities, directions, pet restrictions, or other questions, please call 209-536-9543 (TTY 800-877-8339) or visit the website at http://www.usbr.gov/mp/ccao/newmelones/index.html. 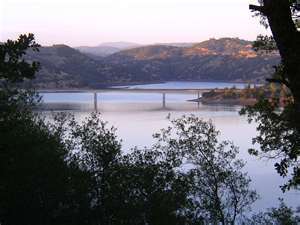 With nearly 120 miles of shoreline when full, New Melones Lake offers striking scenery and access to lots of California history. The Stanislaus River, which feeds New Melones, was originally dammed in 1926 for the purpose of power generation and to supply usable water for agriculture. The project was expanded dramatically in 1980 when the ‘new’ dam was built to both supply hydroelectric power at a much larger rate and prevent downstream flooding. You can learn more at the New Melones Visitor Center. In 1864, Mark Twain built a cabin on what is known as Jackass Hill just south of the lake, off of 49. It was here where he began writing “The famous Jumping Frog of Calaveras County” among other celebrated books and quotes we know today. The book inspired the world renowned Calaveras County Fair & Jumping Frog Jubilee, held each year in Angels Camp. This year’s celebration runs from May 17 to 20. When I’m done in the garden, I’ll see you at the lake. Wear sunscreen!